According the Centers for Disease Control, more than 2 million people visit emergency departments annually for treatment of injuries sustained in auto accidents. Even more walk away from their collisions with a few bumps and bruises. Unfortunately, many never consult with a chiropractor about their injuries because they either believe they are uninjured or that the emergency department has effectively handled their care. The truth is that auto accident victims can sustain musculoskeletal injuries with no symptoms. Of those who do, they are often sent home from hospital emergency departments with pain medications – which do nothing to treat the underlying injury. 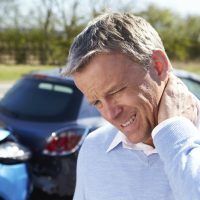 Chiropractic care is an effective treatment option for auto accident injuries utilizing techniques such as manual adjustments, massage therapy and corrective exercises to treat your injures. Whiplash is one of the most common injuries sustained in automobile accidents. It occurs during the impact of your accident when your neck is forcibly thrown forwards, backwards, or sideways, and then “whipped” back in the opposite direction. Whiplash affects the muscles and tissues in your back and neck. You may feel headache, neck pain and stiffness, nausea, back pain, and dizziness. Headrests do not prevent whiplash, but may reduce the severity. 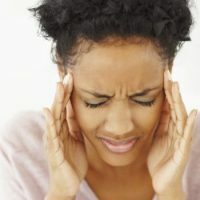 Post whiplash headaches or neck-related headaches have a wide range of causes. The straightening of the curve of the neck can cause the head to move forward causing irritation to the greater occipital nerve and lesser occiptal nerve, causing headache. Also, the spinal joints at the level of C2-C3 as well as the temporomandibular joint can refer pain to the head. Additionally, muscles can develop trigger points which can refer pain to the head. The soft tissue healing process is categorized into three stages that involve cellular response. The initial acute inflammatory stage lasts up to 72 hours. From 72 hours to 6 weeks, the body is in the repair stage, in which the body attempts to regenerate damaged tissue. The remodeling stage last from 3 week to 12 months (or more depending upon the severity of the injury), and is focused on increased functional capability. A herniated disc, which is another injury that can be sustained in an auto accident, occurs when a spinal disc bulges and puts pressure on the nerves in your back. You may notice symptoms of tingling and numbness into the hands and feet, or sharp pains into the arms and legs. A sudden jerk from a car accident can cause a disc herniation or possibly sciatica. Car accidents can cause you a fortune in repair and insurance bills, and they can disrupt your day by delaying you from reaching your destination - but they can be more disruptful for more than just one day.